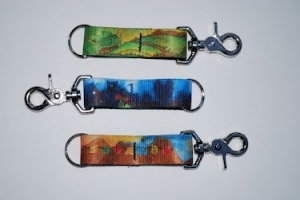 These are the Outside Dog Artwears keychains. The scenes come from my original painting called COMMUNITY. They are made of washable nylon. To order visit www.outsidedogartwears.com.